Dx milk tanks are supplied and fitted by Daw Refrigeration. We supply maintenance and service on Bulk Milk Tanks, also selling both new and second hand tanks, ice bank tanks and dx milk tanks. We sell other various equipment for the dairy industry such as heat recovery, plate coolers, milk tank washing units, condensing units and other ancillary parts for bulk milk tanks. With the direct expansion technique the milk is cooled by direct contact with the evaporator. Thanks to the free evaporation and proper mixing of the milk, the heat exchange is optimal, a high cooling capacity is guaranteed and freezing is prevented, even for small amounts of milk. 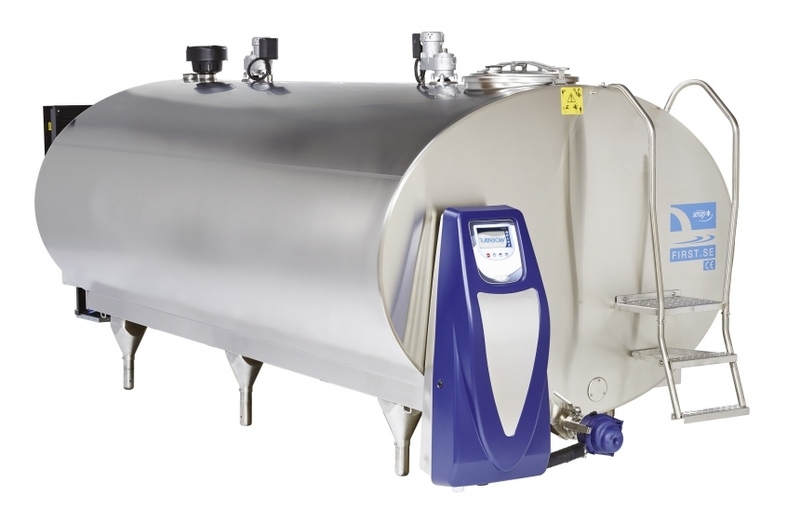 We can offer a range of new and used milk tanks. Click on the below link to view example specifications of the desired make of tank. We suppy and install many different new and used tanks, please contact us to discuss your needs. Effective cleaning with a new Rainbow washing cabinet and patented circulation system. Washing times have been optimised to adapt to the new milking robot requirements. It has a microprocessor for storing information such as milk and washing temperatures, power cuts and other events for a minimum 3-month period. Daw Refrigeration can offer a wide range of second hand bulk milk tanks, from conventional dx to ice bank tanks. These milk tanks come in a range of makes and sizes. Please contact us if you are intrested in a second hand tank. We also do a large amount of milk tank / ice bank repairs. On older, and also on some newer tanks, it is common for the stainless to fracture leaking either water on ice banks, or gas on the newer DX tanks. This requires a skilled engineer to repair. Here at Daw Refrigeration we have that expierience and could save you the cost of a new tank. Links requireAdobe Reader click to download!